We combine HTML5, native or hybrid apps with rich device features and your enterprise data to create engaging mobile apps. Responsive design empowers your website to deliver a consistent customer experience across desktop, mobile and tablet devices. Jogat has rich experience in developing ASP.NET large-scale web applications and high-performance ASP.NET web sites. We help you being awesome at what you really do. Providing the best service so you can concentrate on your thing. Our software specialists are entirely committed to their jobs and work enthusiastically on each and every project. Our IT professionals have access to the latest technologies and the opportunity to work on major international IT projects continues to build their expertise and experience. Our Agile and SCRUM methodology make the process of design, development and maintenance risk-free for our customers. We adopt HTML5/CSS3 and deliver not only (responsive) websites but multiple web and (hybrid) mobile applications as well. 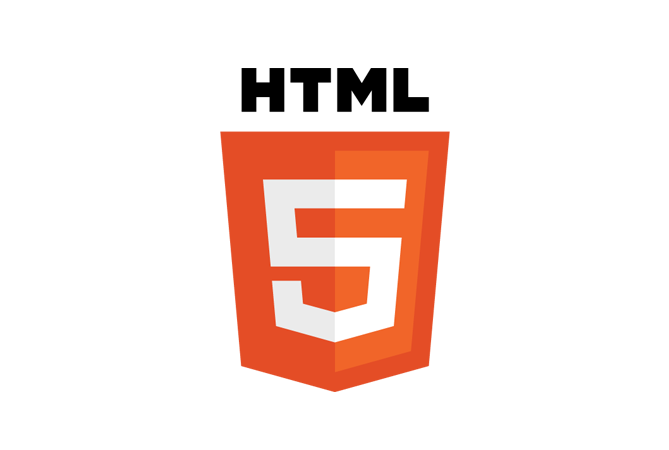 If you need top-of-the-line HTML5/CSS3 development for your website/application, you're at the right place. 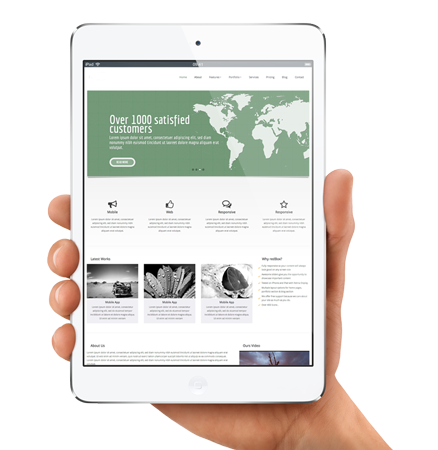 The need for mobile-ready websites and mobile applications continues to grow. Jogat render robust, efficient and highly scalable iOS and Android based mobile applications that are tailor-made to suit your business requisites. We at Jogat create top-quality ASP.NET solutions with comprehensive ASP.NET and .NET framework utilization. We employ great certified .NET programmer teams consisting of architects, developers and QA engineers who are professionals in ASP.NET web development. 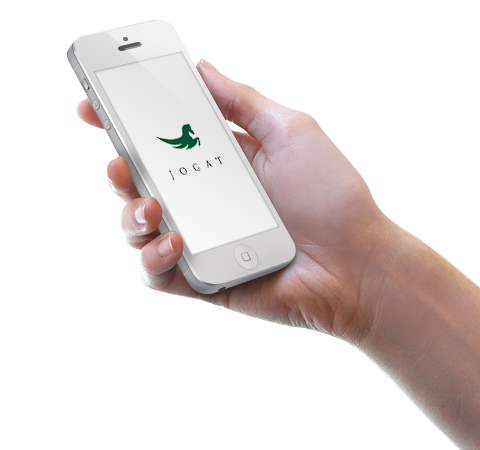 Jogat is a software development team situated in Sarajevo, Bosnia and Herzegovina. It is founded as a part of B-inIT b.v., Dutch consulting company. Jogat is established to deliver very fast, high quality and price competitive software development services in web and mobile application development. Jogat designs and develops applications according to specifications and requirements defined by B-inIT Consultants in The Netherlands. Click here to discover more details about the company name. Living on a border, such as Krajina, Velika Kladuša for instance, in the far end of the country is not easy for ordinary people, so, it is a must for them to have heroes who would keep them safe and keep guard. One of such, the greatest of all in Bosnia is Mujo Hrnjica. He is famous for his smarts, pure intelligence, and great physical strength. Villas, ghosts born from dew found only on big trees somewhere deep in hills no living being new about, granted him a white horse, and named it- Jogat. IPA: /dʑôɡat/, from Turkish gök (“sky,blue,light) + at (“horse”), or in Bosnian đȍgat, Cyrillic spelling ђо̏гат, - a pale, white horse which is not an ordinary breed nor a nag no one cared about. Jogat is the rarest of all with a special significance in the mythology of Bosnian culture. 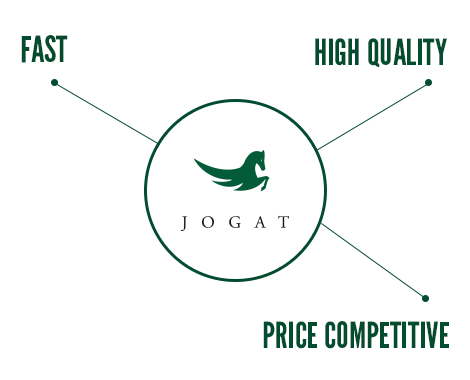 Jogat posses the exceptional properties granted transcending the normal world by having wings, similar to those of Pegasus, strong in built, compact yet elegant with long thick mane and tail, beautiful head, and long neck running to well-defined withers and a massive chest. Jogat is widely known and admired for its intelligence, sensitivity and docility. Mujo treats him with respect and loves him so; Jogat is quick to learn, responds and cooperates with his companion master. He is Mujo's pride, wins all his races, bears him in his endeavours, and helps him triumph over negative forces. Still, even today, both Mujo and Jogat, protect Velika Kladuša, Jogat with his hoof set in hundreds of years old rock located in Stari Grad hills near the castle of the same name - left there to remind us of his watchful guard, and Mujo riding him, with the wind in his hair, and the sun on his face.